I'm really looking forward to Spring!! 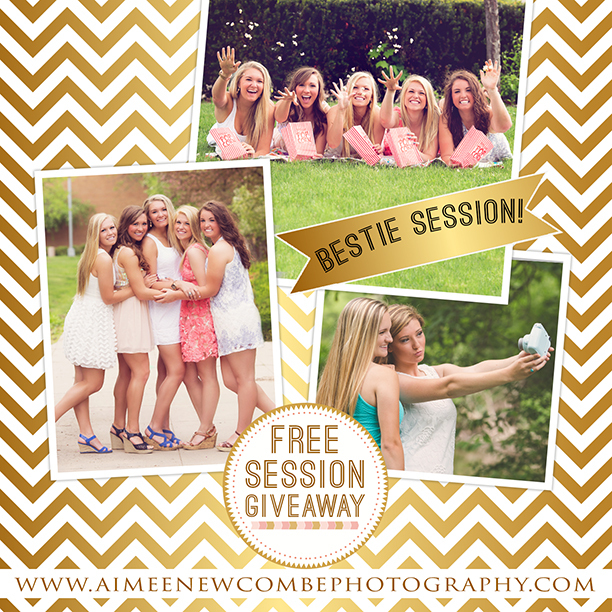 I thought a great way to celebrate warmer weather approaching would be to offer a fun free session giveaway.....for you & up to 3 of your besties!! I loved the last Best Friend session I captured & thought it would be a great kick start to Spring. ;) It really doesn't have to be just for Seniors, any age is welcome! Follow me over on Instagram (aimeenewcombe) and check out the details & rules to get yourself entered! To make it easy, just click the IG icon on the sidebar to your left! It's a short time frame though....starts 3/16/16 & winner will be chosen via random.org on 3/18, so you only have a couple days to enter! !